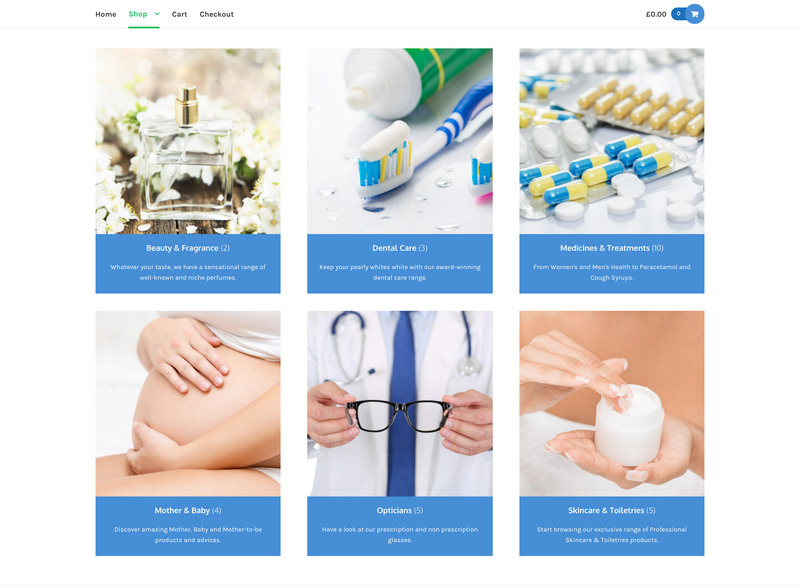 Pharmacy is a Storefront child theme that has been designed to be used by pharmaceutical/medical stores. If features a clean and minimalist design with subtle details that point to the pharmaceutical industry. To re-iterate; the theme just provides the design. Features come from plugins that you can pick and choose. You might think that adding some different plugins could turn Pharmacy into the perfect theme for the fashion industry as well. The “Shop” top-level menu item is transformed into a full-width dropdown thanks to the Storefront Mega Menus extension.